Built for recreation, Dirt bikes are typically lightweight, maneuverable and have an engine size lower than 500cc. 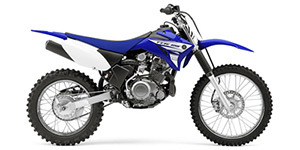 Dirt bikes are available in two-stroke and four-stroke engines, with unique configurations available for different styles of riders. Unlike dual sport and enduro bikes, dirt bikes are only legal for off-road and trail riding. 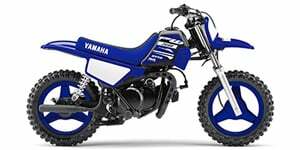 Dirt bikes typically come standard with a stiffer suspension for aerial landings, extended forks for extra clearance and hill climbing, as well as high traction tires for grip on soft and wet surfaces. For beginners, typically a four-stroke engine is recommended, engine displacement and seat height are two additional factors that should be considered when purchasing a first bike. A few good recommendations for beginners are the KTM 150, Honda CRF 250 and the Suzuki DR-Z 125. 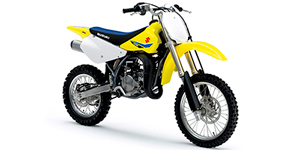 Dirt bikes are available in smaller sizes for children, typically down to the youth dirt - 50cc level.